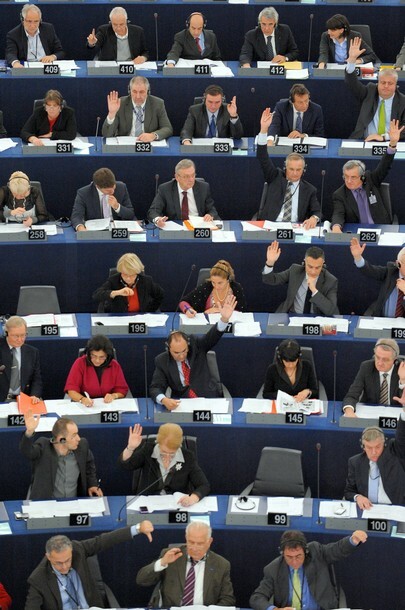 Members of the European Parliament vote during a session at the European Parliament in Strasbourg, eastern France. When I saw the title Parliament on my blog reader, I thought perhaps this was a post about George Clinton. Har! Best of the season to you from Anchovy World Headquarters.